While face oils may seem to be the latest beauty and skincare trend, this skincare addition actually dates all the back to the ancient Egyptians who used moringa oil to keep their skin fresh and flawless. 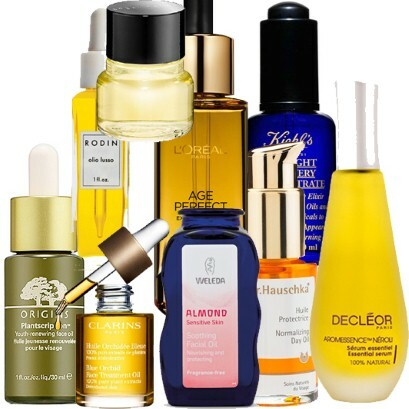 Quality face oils can produce borderline miracles for your skin. The key is choosing the right oil for your skin type and skincare goals. It is a common misconception that oils cause breakouts, clogged pores, and greasy looking skin. There are dozens of different plant-based oils, some of which are used on their own and others are blended with other types of oils and ingredients. Today we would like to share with you the ways that face oils are beneficial. High quality and properly extracted oils can do a number of different things for your skin. Oils are made of fatty acids, which is the same as the lipids in the epidermal layer of your skin. When your skin lacks lipids, it losses strength, softness, and moisture, and becomes more prone to irritation and damage. Supplementing your skin with fatty acids (oils and Juice Plus+ Omega Blend), will help reverse and prevent these effects. Most face oils are plant-based, which gives you the added benefits of a variety of essential vitamins, minerals, and antioxidants that naturally come from the plant. Face oils that are high in antioxidants, like Argan or primrose oil, can help reduce and prevent wrinkles caused by free radicals from air pollution and UVA and UVB rays from the sun. Oils high in omega-3 fatty acids do wonders for dry and cracked skin. Oils like macadamia, jojoba, and camellia are great at shrinking enlarged pores. Oils like geranium help to calm down rashes, irritation caused by other skincare products, and rosacea. For those who are suffering from acne or the occasional flare up, tea tree oil will quickly zap those blemishes. Oils easily penetrate the skin, which helps to lock in moisture and creates a barrier against water loss as well as external irritants and toxins. Oils are hydrating and nourishing, as well as repairing and protecting. There are ones that are beautifully scented, as well as scentless ones. There are light and fast absorbing oils, as well as thicker ones that are lovely as part of your nighttime routine. You can also use the same oils all over your body and in your hair. A little oil goes a long way. It is not unlikely that once you find the right oil, it will become your favorite part of your skincare regiment. Coming up in the next few weeks: a guide to the different types of oils, brand and product recommendations, more on omega fatty acids, eating for youthful skin, and how adding Juice Plus+ into your routine can significantly improve your skin.